It is only appropriate that such an incredible golf tournament be held in such sublime scenery. The Snowshoe Foundation Golf Tournament is a four-person best ball tournament that is the second leg in fundraising of the Foundation. If you don’t have a four-person team, we can accommodate your party of one, two, or three players. Feel free to register and we will place you with other teams. It does not matter if you are great at playing golf, or just enjoy being on a course, you are sure to have a great time. Mulligan packages are also available. The Snowshoe Foundation Golf tournament provides so much fun that you will want to make it an annual pilgrimage. Winners of the Tournament take home prizes from the reception and awards ceremony following the game. Our golfers also look forward to 50/50 games and the live auction, which is full of unique and distinctive items. Enjoy a light breakfast at the Clubhouse, lunch on the course, and a BBQ Style dinner during the Awards Ceremony back at the clubhouse, as well as exceptional company on top of one of the most scenic mountain vistas of West Virginia. Experience the Snowshoe Foundation Golf Tournament this year! In addition to two and four-team player options on the course, several sponsorship and marketing opportunities are available, including banner placement, acknowledgement in the Events Program Introduction, Recognition at the Reception, and advertisement placement on the beverage cart, in the breakfast meal area, practice facility, and other prominent locations. Business owners may elect to sponsor one of five available tee tents, as well. This opportunity enables your business to advertise, hang a banner at the chosen tee, and hand out promotional materials. Please note that tee tent sponsors are encouraged to choose a theme with accompanying food and beverage (for example, Mexican Tent, Italian Tent, Sushi Tent, etc.). Get creative! 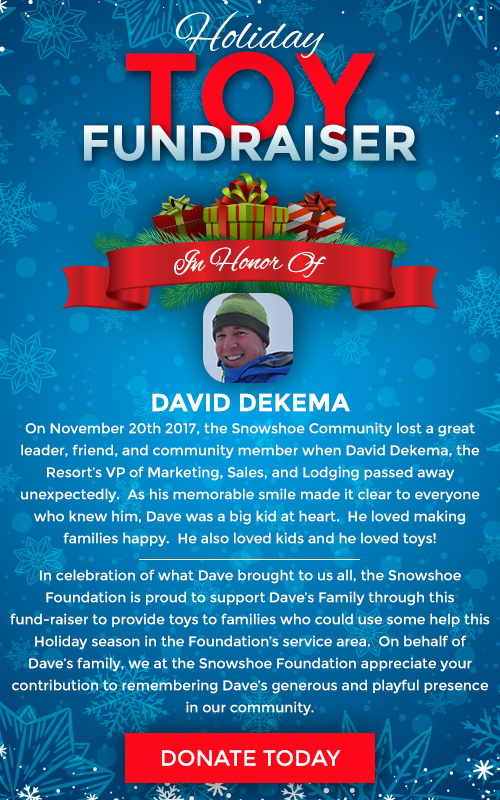 This is an excellent opportunity to help your company stand out in a fun, memorable way while supporting the Snowshoe Foundation. 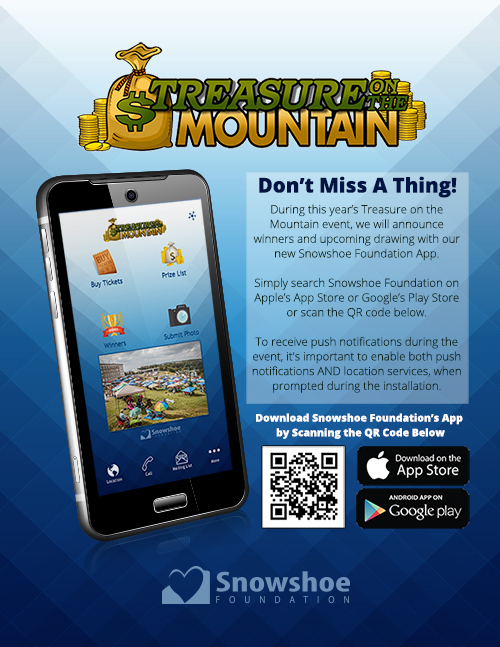 Please see the registration form for additional information, or contact Jessica Stump at: jstump@snowshoemountain.com or (304) 572-5671. Error: Error validating access token: Session has expired on Sunday, 21-Apr-19 13:27:38 PDT. The current time is Monday, 22-Apr-19 17:32:19 PDT.